Gout is a common type of arthritis. The symptoms of gout include painful swelling and inflammation in one or more of the joints. Gout usually affects the big toe, but it can develop in any joint in the body. Gout is caused by a build-up of uric acid in the body. Uric acid is a waste product that is produced during the process of metabolism (when the body breaks down food to use as energy). Usually, uric acid is excreted by the kidneys. People whose kidneys do not excrete uric acid properly, or those who produce too much uric acid, can have high levels of uric acid in their blood. If the level becomes very high, crystals form in the joints. The crystals cause the joints to become inflamed and painful. Gout may also occur in the ankles, hands, wrists, knees or feet. Many people describe the affected areas as warm/hot. If several joints are inflamed at once this is called polyarticular gout. Urate crystals cause inflammation. This is where the joint becomes intensely painful, red, hot, shiny and swollen. Urate crystals can also collect under the skin and elsewhere, forming small, firm, white pimples called tophi, which are not usually painful. Gout is one of the most common types of arthritis that affects men. It is estimated that 1% of all men will be affected by gout. Gout can affect women, although men are three to four times more likely to develop it. In men, the symptoms of gout usually begin between the ages of 40 and 60. In women, the symptoms begin later, usually between 60 and 80 years of age. Acupuncture is very effective at relieving pain from gout as it increases blood supply to the area which in turn reduces the concentration of uric acid crystals. In an acute attack, treatment would be recommended every day or every second day as each treatment will reduce pain. 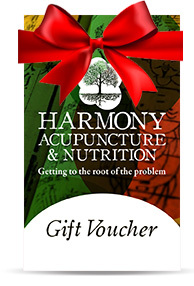 In addition to relieving the pain the Harmony Clinic will also give dietary advice to prevent future attacks.